Long regarded as one of the City’s most prestigious streets, Avenue Road will welcome the addition of 609 Avenue Road and its modern architecture, with a look reflecting the fresh design thinking of its development team. The distinguished selection of suites has been thoughtfully designed for the most discerning of purchasers. 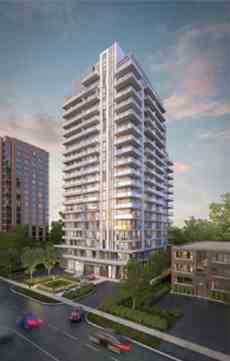 Developed by State Building Group and Madison Homes to exceed customer expectations, 609 Avenue Road is an elegant collection of sophisticated condominium residences offering affordable luxury just steps from the stately mansions and tree-lined streetscapes of one of the City’s most exclusive neighbourhoods – Forest Hill. Just beyond the intricate pattern of the brick driveway and the lush landscaped entrance, residents and guests will enter 609 Avenue Road under a gracious glass canopy. With classic granite walls flanking either side of the stately entry, a world of luxury and refinement awaits within. Inspired by the ambiance of a grand hotel, 609 Avenue Road provides all the amenities one would expect in a residence with this extraordinary level of quality – an array of social, wellness and recreational facilities which contribute to the appeal of a leisurely lifestyle. A professionally equipped fitness centre with an aerobics area welcomes residents for a daily workout. A fully furnished media lounge offers an opportunity for friends and family to come together and cheer your team on to victory in a private and inviting place. As well, an elegantly furnished guest suite is available to accommodate overnight guests. Ideally situated at the gateway to Forest Hill, 609 Avenue Road is a short walk to the charming shops and cafés of Forest Hill “Village”. If a jog or afternoon stroll is on your list of things to do, the Belt Line – a spectacular nature and fitness trail – is also just moments away. 609 Avenue Road is conveniently located just south of Lonsdale Road in the heart of an established quiet residential neighbourhood yet minutes to the exceptional variety of shops, food stores and restaurants of Eglinton West Village, Yonge and St. Clair, and the exclusive boutiques of Bloor-Yorkville.